I rented another storage unit recently, which brings my personal total to five. That’s probably why the self-storage industry is so easy to understand: because we are all customers. 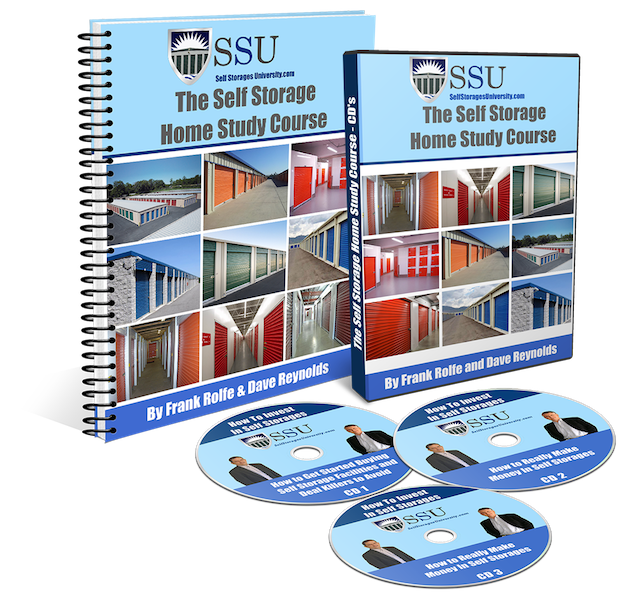 Virtually every person in the U.S. has a storage unit it seems, and that includes the owners of the facilities, too. When you are a customer already, it makes the transition to ownership even easier, because you understand the business from both sides of the table. It also means that most of us can naturally spot properties that have great “bones” from those that are long-shots – because we know ourselves if we would store our stuff there or not. While some people like businesses that are highly complicated (like technology concerns), we prefer thinks that are so simple that you can pick it up and run with it right out of the chute. In a world of “Call of Duty” video games, we prefer “Pong”. We’ve been negotiating deals for over two decades. At some point, everyone who buys real estate adopts a certain pattern of dealing with sellers based on what’s work in the past. And we feel like our negotiating ability is highly refined today, and has a very high success ratio. So here are our thoughts on how to make a seller see things from your point of view. We have found that most sellers are extremely impressed and much more willing to see things your way when they see a great amount of effort on your part. If you want to get a price reduction, then show the seller an itemized list of all the things that are broken with the facility as well as three bids to fix each item. Thorough presentations break down the barriers between buyer and seller, because they transmit the buyer’s enthusiasm and diligence. If you want the seller to reduce their price, one great strategy is to tell them “here’s how I ran the numbers – can you tell me where I messed up?” This immediately puts the seller in a tough position, because you are asking for their input and they now have to demonstrate how they arrived at the price. It also throws them a curve ball, since you are asking for their assistance, and they go from the seller to the buyer’s role in showing you how the price makes sense. Sellers respond well to honesty, integrity and enthusiasm. They also respond well to buyers being friendly and having a good sense of humor. Most sellers do not really need the money, and they are not going to work with you unless you are “easy to sell to” – which means that you are the kind of person that they like to work with. We have never seen a successful buyer who was bad-tempered, never timely, and had no enthusiasm. Remember that your seller demands VIP treatment. We are firm believers that all deals must be win/win – where both the buyer and seller walk away satisfied with the deal and feeling that it was a good arrangement. When you engage in win/win deal making, the seller always responds favorable because they know you are not trying to take advantage of them, and that you have good moral values. When you are a win/win player, the seller will help out at those times when the deal hits a bump – like a appraisal problem or a needed extension of the contract. This is one of the most powerful forces in deal making on any storage facility. It’s the simple reality that sellers have higher motives than just money. When you become a “friend” to the seller, they have the innate desire to “help” you, and that can translate into lowering price or even carrying financing. While bonding is based on many subliminal factors (such as associating the buyer with someone from their past, such as a son or daughter) it can only begin when you spend time with the seller. Our favorite into question at any meeting is “so how did you come to own this facility?” The answer can last for hours, and typically is a great bonding opportunity. Use these concepts to improve your ability to get the seller to see things your way. And don’t forget that, as a part of win/win deal making, you should also strive to see it from their perspective, as well. Will Self-Storage Be One Of The Few Players For Vacant Malls? One of the internet’s biggest victims is the shopping mall. These giant dinosaurs of retail have sadly entered into an era where shoppers are preferring to stay at home and order on-line. 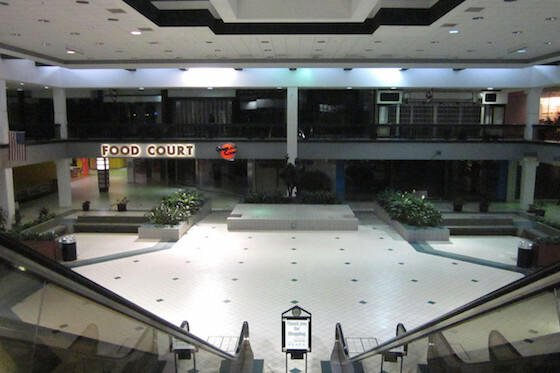 Some experts predict that roughly a third of malls will close of the next decade. So what can be an alternate use for the basic shopping mall? The answer may be self-storage. Recently, a self-storage operator has purchased the vacant Macy’s department store at Richmond Town Square in Richmond Heights, Ohio. The storage owner paid an amazingly low $1.15 million for the building. The new buyer will re-develop the store into climate controlled self-storage. Is this the future of the American mall? In some cases, the answer may be “yes’. The self-storage industry built more than twice as many storage facilities in 2017 than it did the year before, with the stats being 359 built in 2016 and 791 built in 2017. The majority of these storage properties were built in the “Top 50” metros of the U.S. – a total of 494 new facilities. But this type of increased construction can also bring problems of oversupply in some markets, particularly since there are estimated to be an additional 600 new facilities built in those same “Top 50” markets in 2018. Austin with a 9.5% increase in storage space. Raleigh with an 8.4% increase. Denver with a 7.8% increase. Boise with a 7.7% increase. Dallas/Ft. Worth with a 6.2% increase. Milwaukee with a 6.1% increase. Pittsburg with a 6.1% increase. Washington, D.C. with a 6% increase. Orlando with a 5.9% increase. Houston with a 5.8% increase. So how can you use this data as a tool for making smart storage acquisitions? One suggestion is that you might want to steer away from markets with massive new building. With the law of supply and demand, a growing supply depends on an equal rate of demand to keep prices stabilized. Developers have a habit of over-building in cycles, so you should buy in “hot” markets only with the best of due diligence. Some buyers focus on markets other than the “Top 50” because they don’t have to contend with the constant threat of too many new entrants. Remember that the U.S. is a huge territory, and those second and third-tier markets can sometimes offer greater investment security as they are off the radar screen of most builders.